Pacific Collegiate School recognizes the importance of the Visual and Performing Arts as creative disciplines that embody a wealth of universal ideas, values, emotions and technologies that are integral parts of our civilization. 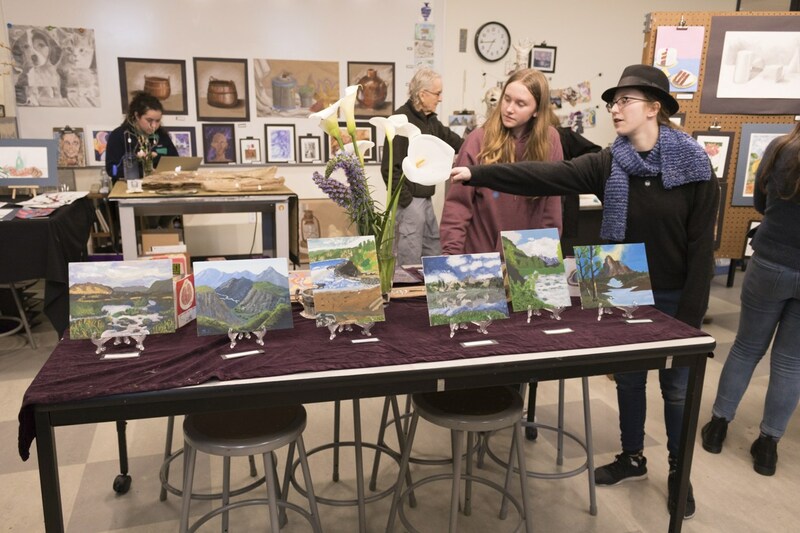 The Visual and Performing Arts program of Pacific Collegiate School is based upon the concept that the arts are an essential component of a complete education and a requirement for cultural literacy. In concert with the international focus of Pacific Collegiate School, the Visual and Performing Arts program incorporates the contributions of diverse cultural traditions across many time periods and encompasses Visual Arts, Theater Arts, and Music. Visual Arts instruction is offered in a structured sequence of course work that provides experience with the materials and methods of art in both two- and three-dimensional media. This instruction emphasizes the development of perceptual awareness; the acquisition of a visual and verbal vocabulary related to art; approaches to creative problem-solving; and, the acquisition and practice of skills leading beyond competency to excellence in a wide variety of expressive media. Promoted are investigations into cultural and historical contexts of major art movements; the contributions of diverse cultural traditions; and the concept of aesthetics as it relates to fine art. The Theatre Arts program focuses upon both individual and group performance and writing for theater. It offers an introduction to the history of theater through investigation of the works of leading playwrights and planned theater productions. The Music program involves the students in a rich experience of instrumental and vocal performance. Opportunities for both collaboration through ensemble and individual study are promoted. An appreciation for our rich musical heritage and the contributions of composers and musicians is fostered.